It has been over 10 years since Quantic Dream have given us titles such as Fahrenheit, Heavy Rain & Beyond: Two Souls. These where great titles to build a solid reputation and great ground for story driven games with fantastic narratives. 2018, we now have Detroit: Become Human, a masterpiece of games that want to be on top of the food chain when it comes to replay value. Quantic Dream have really given us something incredible here. With a world that is in constant movement around your surroundings, plots and multiple playable characters all while tackling on controversial topics linked to our reality, Detroit will give you an experience, unlike others. Before moving into more details, let us look at the plot of Detroit: Become Human with a little bit of history. Set in 2030, your story revolves around 3 different androids. Kara, a caretaker who escapes a vicious man to protect a child. 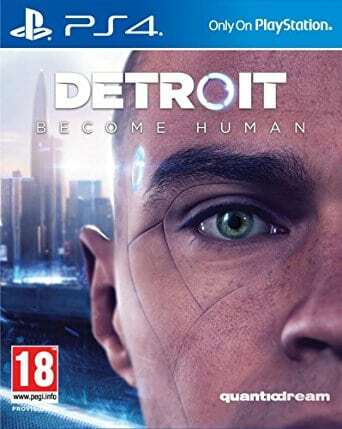 Connor whose sole purpose is to hunt down sentient androids that are malfunctioning and Markus who discovers himself after a fatal accident upon the murder of his original master. Originally, Detroit: Become Human was based on Quantic Dreams 2012 experiment Kara. That project was then revisited with new engines and a much more complicated script of over two thousand pages written by David Cage. I must admit that initially, I was a little skeptical when I heard about this game during last year’s E3. How can someone have such a heavy script around three stories and still hold a solid common storyline that makes sense? I can now easily assure you that the skepticism is now set aside, and they proved me wrong. I believe that part of this game’s strength is in the characters and the way they develop throughout the progression. Playing with Kara, Connor and Markus open the world to three different perspectives and stories that initially seem like they have nothing to do with each other but eventually all fall into one common conflict. As you would expect with such heavy scripts, some of the events in the game might not be connected with the main storyline but that is quickly overseen when each character’s main path starts to be intertwined with one another leading to an epic, emotional and tensioned moments that will leave your jaws wide open. The history of Detroit: Become Human is all about liberation and the constant quest for finding the answer around existentialism. Who are we really? As you advance in the game, the characters you play will start learning these things and will make you question life’s morality as we know it. Ethics, the right to live or die and doubts that are forged by the very foundation that makes us who we are. You become aware that doing the right thing will just make things difficult, but the right thing is not always the right choice. So really, how far are you willing to go? One thing to always keep in mind is that there are no right or wrong ways to play this. The wide variety of possibilities available to players is mind-blowing. A full playthrough might take you 7 to 12 hours but, to experience the full game at its best you will need to invest at least 70 hours into the game. I highly recommend following the latter otherwise you won’t be doing justice to this fantastic title. I was lucky enough to get the Press Launch edition. The box came with a nicely designed card holding the digital download code, a set of documents on the playable characters and different type of Androids and a letter from the developers on how to maximize the experience. I enjoyed going through those for a change and to be honest it helped me appreciate the game more. It is a shame that this is not given to the public when you purchase the game. The reason I mentioned this is because the first walkthrough should be carried out without going back on your decisions. This is something that is highly recommended by the developers, the in-game android and everyone who truly enjoyed the game. The first experience is always the most important one and not going back on your steps will allow you to feel a great weight on the decisions you take keeping in mind that some of these decisions might see you lose one of your characters. In addition, some initial actions you take early in the game will heavily impact the final chapters of the game. The chapter design is fantastic, and the charts used to illustrate your progress are even better. Every time you finish a chapter, there is a table that appears highlighting all the different scenarios and details that player can carry out. Its some of these scenarios that lead us to all possible endings. Each end has a different consequence. There are also special beginnings and endings that will be triggered based on past situations that could have happened several chapters behind. This alone means that one small decision can change the entire narrative of the game. If you thought this is enough, well you are wrong! the developers have also made it possible for you to get extras such as illustrations, videos, models and more by just exploring every corner of the game and accumulating credits. This game does not only have the ability to trigger your emotions but is great at making small tasks look great. For example, being able to play the piano while enjoying a mixture of visual music and an interactive theatrical masterpiece. I genuinely believe that Quantic Dream has brought something special to life. Sony’s exclusives such as Horizon Zero Dawn (which I reviewed last year) and the most recent God of War (review by Nazih Fares) are both great titles on their own, but Detroit stands on a greater strength when it comes to cinematic, gameplay synergy. You would have noticed by now that I have been talking a lot about the storytelling, narratives and different playability options on this game and I am yet to tackle the actual gameplay and mechanics. This was done on purpose since I do not see this being an important factor to really enjoy the game. The developers have done it on purpose to make sure that no matter how you wish to play the game the experience remains the same. The options are simple and what you get is straightforward. Play with text, subtitles, the usage of the touch panel, …etc. Speaking of the latter, the touch panel is quite remarkable. There are many ways of using the touch panel which you will quickly discover so I rather not spoil the fun here. In term of the actual in-game mechanics, there isn’t much to talk about. Controls are straight forwards sometimes too simple for such a complex story, and the camera is responsive. The main thing to focus on will be the QTE and scanner used by the androids. How you use them plays a big role in the character’s progression. They are the basic tools which allow to you figure out how to progress and interact with the game. The scanner is essential and using it many times is not an issue if you are like me and want to make sure you do not overlook anything. Quantic Dream has achieved without a doubt what they were set out to do back in 2012. This is the most spectacular interactive adventure I have played in a very long time. Marcus, Kara, and Connor made me rethink many things and I grew a personal attachment to them. Being immersed in a story for a constant struggle and a true purpose all under a spectacular setting great visual and an even better soundtrack makes this game a memorable one. Whether you like these types of games or not, I can guarantee you that Detroit: Become Human will leave you with everything that is right in the video gaming industry. Detroit: Become Human was reviewed using a PlayStation 4 digital download code provided by PlayStation Middle East. We don’t discuss review scores with publishers or developers prior to the review being published (click here for more information about our review policy). Detroit: Become Human is another masterpiece from Quantic Dream which will make us morally think about what the near future holds for humanity. There are so many references to our current present lifestyles pointed out, as people are more and more dependent on smart devices, which will move you deeply.